My family and I have been at COV for a little over a year now, and if I could sum up our time here with one word, it would be growth! 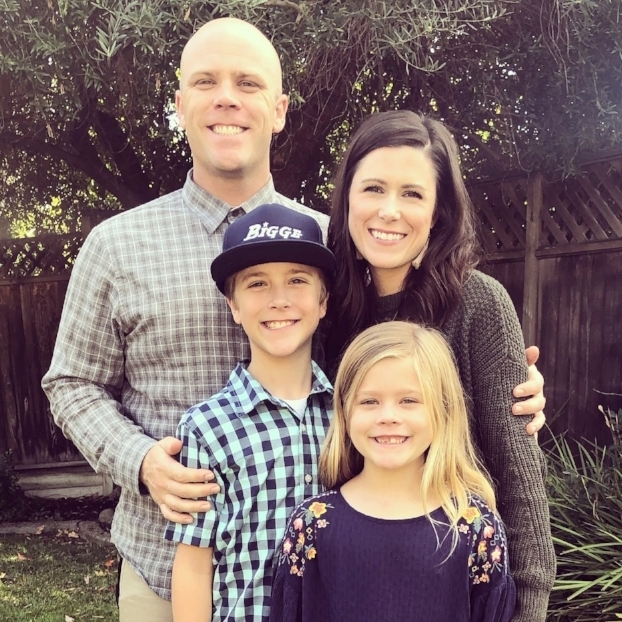 About a year and a half ago, my husband Kyle and I began to feel God leading us away from our current church family to find a new church home and family to serve along side. After much prayer and lots of discussion, we began the challenging task of looking for a new church home. Over many months we tried several different churches, but none felt like they were where God was calling our family and after a few kind and gentle invitations we decided to give COV a try. Right away we noticed something different about COV, we saw an authenticity we hadn’t seen other places. We witnessed vulnerability from the top down and a leadership who truly desired to see lives transformed by the gospel. So, we kept coming back. The more we got plugged in at COV, the more it started to feel like home and God began to give us confirmation that this is where we were supposed to land. Since our time at COV I have seen growth not only in my own life, but also in the lives of my family. I have watched my husband, Kyle, be poured into by the leadership of the church and be given opportunities to use his gift of leadership. I’ve seen my kids grow in their knowledge of the Bible and really fall in love with church. Both of my kids have been challenged and encouraged to bring their Bibles each Sunday, to memorize the monthly Bible verses and to make their faith their own. Both Kyle and I listen to sermons differently, we listen with the intent of applying what we have learned and with the desire to be able to share our big take away from the message. I feel like my faith has been strengthened as I have watched God open new doors to use my gifts and grow my trust in God’s sovereign plan for my life. Another thing God has used to help us grow as a family has been through our community group. We have had the pleasure of hosting and leading a community group in our home each week throughout the fall. I have watched God use our group to help us feel more connected and also help us apply what we are learning each Sunday as we discuss the sermon. We have been able to show our kids what it looks like to invite people into our home each week and why the body of Christ and living life together is so important. Kyle and I have loved our time with our community group and have been so thankful for the blessing of leading together. Although there were many ups and downs and challenges that came along with following God’s call to find a new church home, the blessings and growth have far outweighed the difficult parts. Kyle and I have learned how to listen to one another and really hear what the other needs, we have had the privilege of praying together and seeking God’s will for our family and in turn we have gotten to experience the true joy of watching God answer prayer and unite us as a family. COV has become a place where my entire family can serve, learn and grow. We are seeking ways to use the gifts that God has given us as we strive to be a family who lives out the gospel each day. The Zylka family is incredibly thankful that God has called us to COV and we wait with great anticipation to see not only how God continue to grow and use each of us, but also how God grows, uses and expands the Kingdom impact of COV as a church body! Please check out https://www.ruthzylka.com/ to find out more about Ruth’s ministry & personal blog.